Not included in any registration. Tickets are $20 per person and can be purchased online or onsite at the registration desk in the Convention Center Pratt Street Lobby. Must present ticket for entry. If you arrive late, seating and/or meal service may no longer be available. A successful career, a happy family, and a balanced personal life leave little time for many people to nurture their dreams. 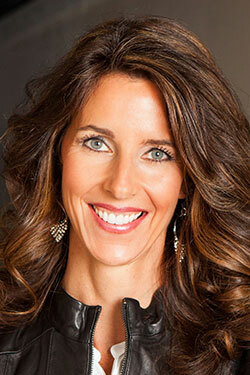 As a former Naval Aviator, a corporate executive, and as a busy mother of four, Carey “Vixen” Lohrenz knows first-hand the challenges of navigating the many demands of daily work-life balance. Carey will inspire you to ‘Be the Catalyst’ and look beyond your circumstances. Just as pilots do a “systems check” before takeoff, Carey’s motivational speech will walk you through a Pre-Flight Check on your journey towards success. Belief in Yourself and Your Abilities To be successful and ultimately take charge of your life, overcoming lack of self-belief is one of the biggest hurdles you need to overcome. A Firm Commitment Be unwavering and purposeful in your actions. Clarity of Purpose Clarity of purpose and a clear picture of precisely what you want to achieve are key factors in achieving success. Make a Plan – Stay Focused Keep life’s distractions and interruptions at bay by creating your plan – and sticking to it.